This review covers the impact of breastfeeding on maternal postpartum weight loss and micronutrient status. Results regarding the impact on weight loss have been conflicting. This may be due to differences in study quality. Of six observational studies in which postpartum weight change was estimated (rather than measured directly), only one showed an association with breastfeeding. By contrast, six of the seven studies in which postpartum weight change was measured showed greater weight or fat loss in women who breastfed longer, particularly at 3 to 6 months postpartum. The results of the higher quality studies are consistent with two experimental studies conducted in Honduras, which demonstrated that the degree of breastfeeding affects the rate of weight loss. 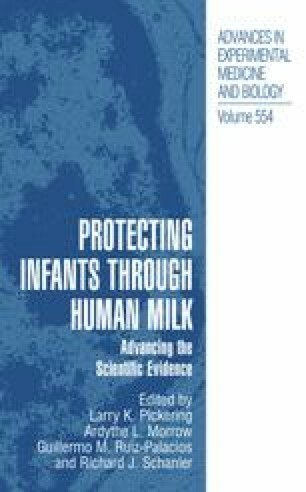 Thus, it appears that breastfeeding does enhance the rate of weight loss postpartum, but the effect is relatively small and may not be detectable in studies that lack adequate statistical power, have imprecise data on postpartum weight change, or do not account for the exclusivity and/or duration of breastfeeding. There is very little information with regard to micronutrient status during lactation. Nutrient requirements for vitamins A, B6, and C, and for iodine and zinc are increased by more than 50%, but lactation may actually be protective against maternal iron deficiency. More research is needed on the effects of lactation on maternal nutritional status and on strategies for optimizing nutrient intake to meet the needs of both the mother and her infant.